At first, chief investigator Roberta Crawford thinks the attempted murder of Karen Morris links to several other arson deaths in her precinct. Upon further investigation and interviews with Karen’s friends and coworkers, Roberta begins to suspect this case is unrelated to the other arson deaths. She thinks Karen knows who is trying to kill her. She’s certain something in Karen’s past is the key to breaking the case wide open. The only problem with her assumptions is that Karen won’t confirm them. Despite the lack of cooperation from her main witness, Roberta finds herself increasingly attracted to her and is afraid to tell her brother, Lieutenant Mark Crawford, that Karen is staying at her place. She knows he’ll decide she’s too personally involved and pass the case to other detectives in the unit. He’ll demand Karen leave the safety of her place. If Karen leaves, Roberta is afraid she’ll never discover the secrets in Karen’s past. Can Roberta get through to her witness or will Karen’s silence set off more Deaths by Unnatural Causes? 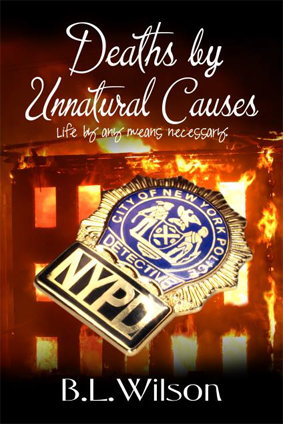 Deaths by Unnatural Causes, is available 1/23/16 on Kindle. The release date is 2/2/17.